Track a Lilac, part of the PBS Nature series American Spring LIVE, is a project to engage citizen scientists in tracking spring activity of lilacs across the country. Track a Lilac is a USA National Phenology Network citizen science project that is part of PBS Nature's American Spring LIVE series, airing on April 29, 30 and May 1, 2019. American Spring LIVE is a real-time, live-action broadcast, transmedia, and outreach project for family audiences that focuses on seasonality and phenology and casts Spring as a powerful engine of change in the natural world. The creators seek to inspire scientific discovery and a new appreciation of the natural world among viewers. 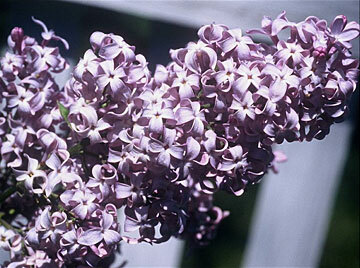 Lilacs are broadly distributed across the nation, are quite common in backyards, and are easy to recognize. With a simple datasheet, members of the public take part in a citizen science effort to track the phenological activity of lilacs all across the country. These observations are part of an effort over 60 years in the making! Phenology observers have been tracking lilacs since the 1950s as part of a research project to understand how plants respond to environmental change. These observations have enabled the creation of the USA-NPN's Spring Index models, which predict leafing and flowering in lilacs. These models, and associated maps, can be used to predict activity of early season plants at locations across the country and see how the timing of spring activity in a particular year compares to a long-term average. 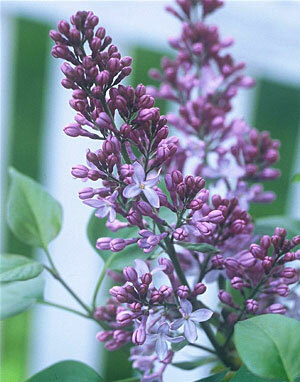 Track a Lilac invites viewers to find a nearby lilac and report whether they see leaves or flowers on their plant. The data contribute to a national database that will be used by researchers to better understand the timing of lilac leafing and blooming across the country. Participants use the Track a Lilac data entry page to log their observations. The landing page consists of three simple steps: show us where you are, tell us what you see on your lilac, and report your observation. 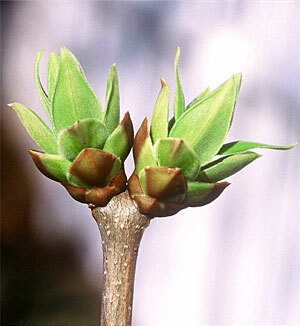 Participants are asked whether they see three different "phenophases", or lifecycle events: breaking leaf buds, open flowers, and full flowering. Phenophase definitions and photos are provided in a popup window. Possible answers are yes (Y), no (N) or not sure (?). Breaking leaf buds In at least 3 locations on the plant, a breaking leaf bud is visible. A leaf bud is considered "breaking" once the widest part of the newly emerging leaf has grown beyond the ends of its opening winter bud scales, but before it has fully emerged to expose the leaf stalk (petiole) or leaf base. The leaf is distinguished by its prominent midrib and veins. Open flowers For the whole plant, at least half (50%) of the flower clusters have at least one open fresh flower. 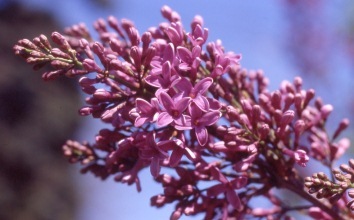 The lilac flower cluster is a grouping of many, small individual flowers. Full flowering For the whole plant, virtually all (95-100%) of the flower clusters no longer have any unopened flowers, but many of the flowers are still fresh and have not withered. Participants can participate as a one-time experience, or they can submit multiple observations in a single day or over multiple days. After submitting their observation, participants are invited to join Nature's Notebook, the USA National Phenology Network's plant and animal observation program for further phenological discovery. 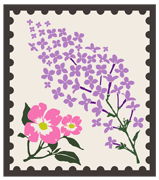 Participants can register the lilac they tracked as part of Track a Lilac, or select from the over 1200 species of plants and animals available on the Nature's Notebook list. American Spring LIVE premiers April 29, 30, and May 1 on PBS. Track a Lilac will be featured on May 1. Nature's Notebook is the USA National Phenology Network's plant and animal observation program. Participating in Track a Lilac is a great introduction to the joy of observing plant and animal phenology over the long term.